Welcome back to Digital Blend, our weekly look at the world of downloadable video gaming that exists at the fringes of the mainstream. That means we look at the hottest new mobile game releases, downloadable content drops on consoles and PCs, indie darlings that deserve your love and attention, and the best gaming values under $20. Keep your comments and feedback coming. We want to hear from you! Did you try something you read about here and enjoy it? Is there a particular game you think we’ve overlooked or news you want to share? Any questions you are dying to ask? Let us know! Your thoughts, feedback, suggestions and (constructive!) criticism are welcome, either in the comments section below or directed at yours truly on Twitter, @geminibros. * Gearbox Software confirmed this week that the first DLC drop for Borderlands 2 will be arriving on October 16, 2012, a day referred to in some circles as “next Tuesday.” Titled “Captain Scarlett and Her Pirate’s Booty,” the content pack embraces a sand pirates theme, sending players to a dried-up wasteland in search of… well… pirate’s booty. Expect new enemies, new loot, a new form of currency in Seraph Crystals, and a new vehicle: the hovering sand skiff. Looks totally sweet. 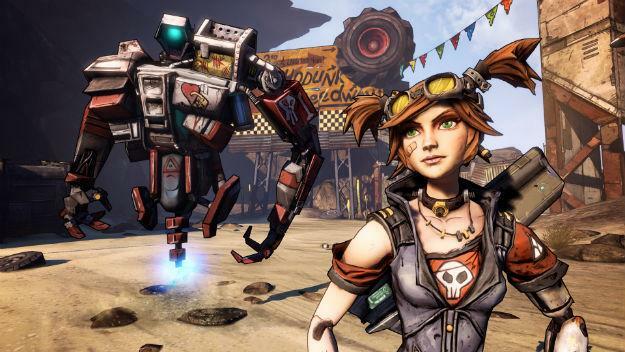 Scarlett is the first of four planned Borderlands 2 DLC packs, with each one running for $9.99 apiece; a Season Pass is also available, with a buy-three-get-one-free cost of $30. 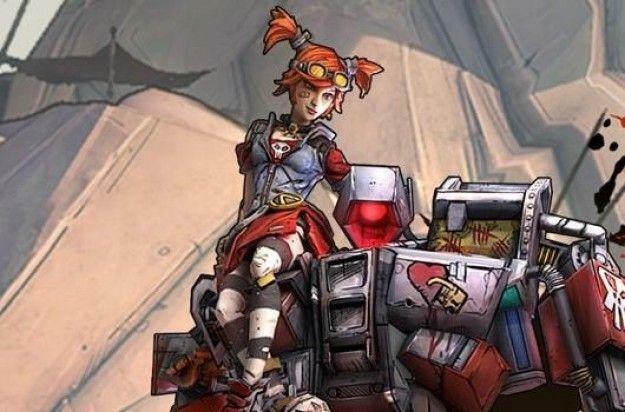 * In other Borderlands 2 news, the October 16 release of the game’s Mechromancer class was pushed forward a full week, and has been available for download since Tuesday. The Mechromancer was offered for free as a post-launch pre-order bonus, though it’s also being sold for real dollars to those who didn’t get in on the pre-release Premiere Club promotion. It’s a $9.99 / 800 MS Point download if you’re buying it, and Anthony reports that it’s definitely worth your time. Assuming of course that you’re one of the proudly committed Borderlands 2 players. * In still other DLC news, Square Enix confirmed a release date for the first of two planned content packs for its excellent late-summer open-world action game, Sleeping Dogs. The Street Race Pack arrives on October 17, adding three new race events to the game, as well as a new superbike, and a racing jacket and helmet. The three races mix things up a bit, with the one auto-based street race joined by a motorcycle race and, for the first time in the game, a boat race. 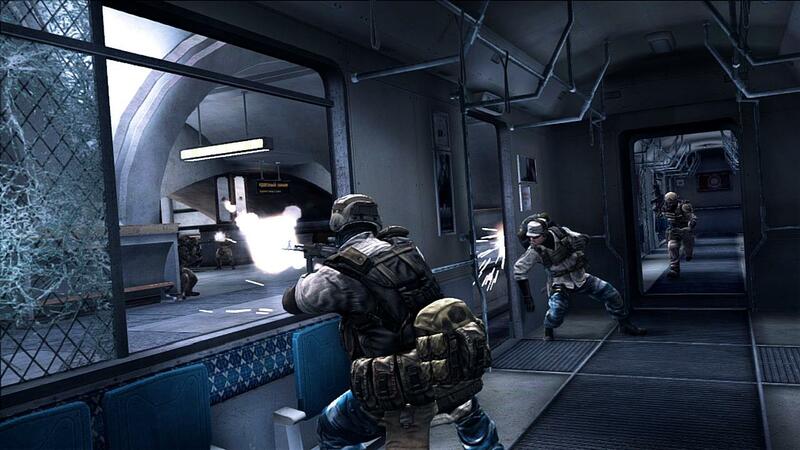 The second SWAT Pack DLC is expected to arrive later this month, adding an assortment of new cop missions to the game. The Street Race Pack comes first though, arriving next week for around $4 on all platforms. 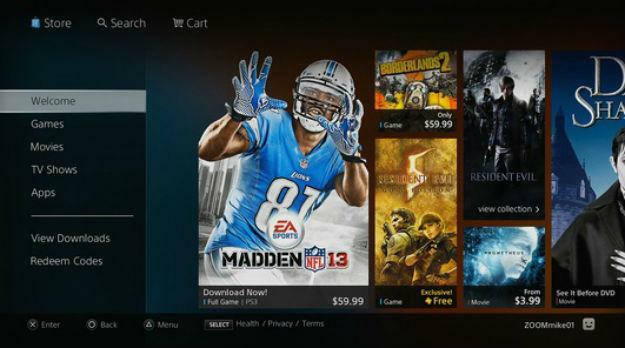 * Sony is preparing a sizable relaunch for its PlayStation Store on October 17. The redesign is the first for the digital storefront in six years, and really the first since it launched alongside the PlayStation 3 in 2006. This is a top-to-bottom refresh, ditching the baby blue color scheme and overall design for a sleeker, darker style. There are shades of the Cross Media Bar in the new design, with shrinking and expanding listings for categories and individual products. The new design aims to offer easier navigation on the user side and a less clunky interface overall. * Thought you had read the last of the DLC news for this week? Think again. There’s more. Capcom revealed some upcoming changes to Resident Evil 6 that are being framed as “free DLC” but which really amount to a content-related title update. The one that fans should be happiest to hear is that an upcoming update will unlock Ada Wong’s campaign for one and all. Previously, you could only access Ada’s story if you had first played through the game’s other three campaigns; that will no longer be the case. The incoming update also adds a new, more challenging “No Hope” difficulty setting and tweaks Ada’s campaign to allow for co-op play. It’s not clear who she’ll be joined by or if players will still be able to enjoy the campaign in its original form, but we’ll surely be hearing more as the update’s release draws closer. Capcom is also planning some paid DLC releases for RE6, but none of the specifics have yet been revealed. 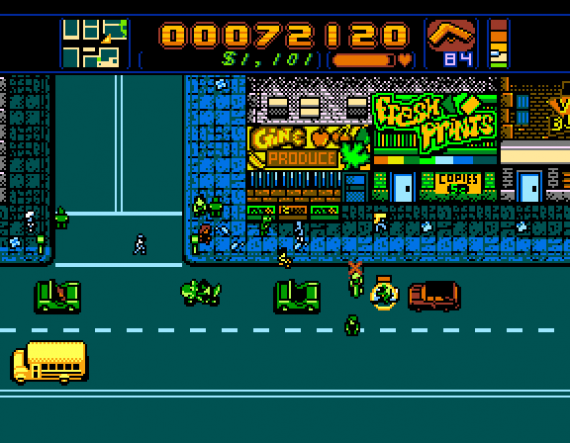 After a ridiculous number of years and plenty of hype, Brian Provinciano’s Retro City Rampage is finally here. The NES-style open world action game/minigame collection is a little uneven, but it’s a reference-filled ode to geek culture in all of its beautiful forms. I’ll pull up short of making this my pick of the week simply because it’s going to divide the gaming community. Some people are going to love it for its retro charm and over-the-top sense of style while others will dislike its many mechanical faults and inconsistent design. It’s still quite a hoot, and one Sony buy gets you two, since RCR is playable with cross-saves on PlayStation 3 and PS Vita. Khyber Strike is the second multiplayer expansion for Ubisoft’s Ghost Recon: Future Soldier and the third DLC pack for the game released so far. This one is a bit more stripped down than the previous multiplayer pack, adding three new MP maps, one new Guerilla map, a new mode, and a boosted level cap but skipping the added guns. That’s a misstep in my own mind, since Gunsmith is such an integral part of Future Soldier, but Ryan’s review paints a positive picture. Anyone who knows me knows that I’m a rabid Borderlands fan. The new Mechromancer class amounts to 40 or so more hours of playing time for those who feel like working through to the level 50 cap. 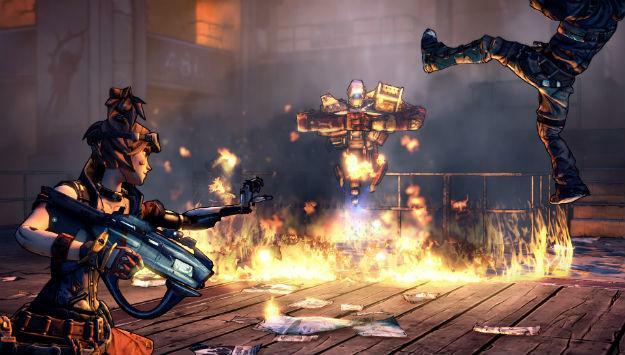 This one’s a no-brainer if you pre-ordered Borderlands 2 since it’s a free download. For anyone else, yes, $10 is a bit steep for an extra character when we’ve got a big DLC pack coming to the game next week at the same price. All I can tell you is that the Mechromancer is a solid addition to the roster, with a suite of skills that feel markedly different from what the four core characters are capable of. But again, rabid fanboy, right here. Pick of the week, right here. By the widest margin imaginable. 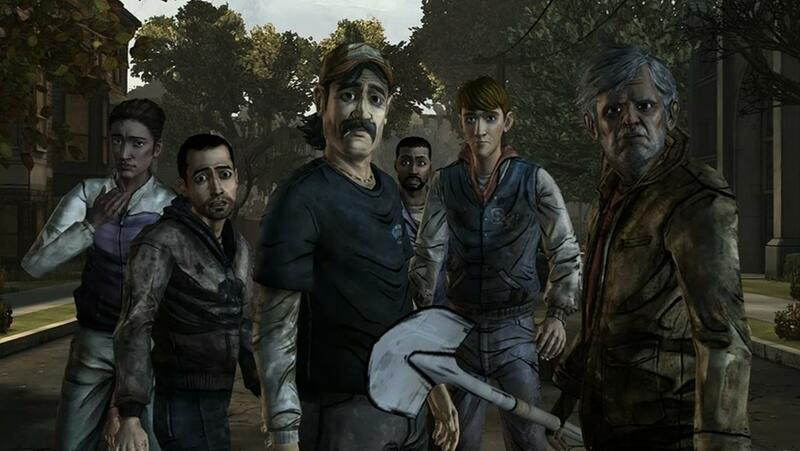 Telltale Games continues to astound with its Game of the Year-caliber storytelling in The Walking Dead. Episode Four delivers one of the most brutal gut punches yet as it sets the stage for what is sure to be a staggeringly powerful final episode. I can’t speak highly enough of how strong this experience is. If you enjoy video games, or even just incredible stories, on any sort of level and you haven’t tried The Walking Dead yet, then you owe it to yourself to correct that immediately. Check out our full review for all the details. Sega’s classic arcade game is now small enough to cram into your pocket. 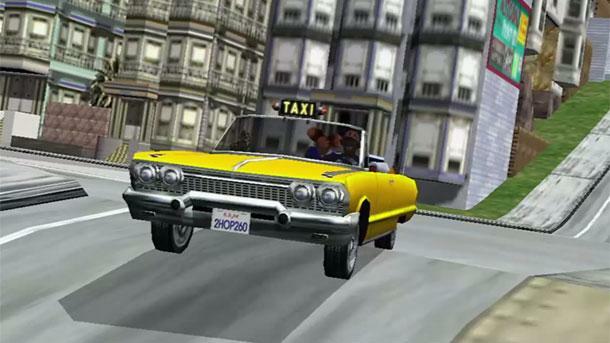 Crazy Taxi is officially a mobile title in the iOS App Store, and it’s a universal app as well. Take every port of the game that you’ve ever encountered and stuff it into one game, with added touch controls, and you’ll have this port. It’s not quite as fun to control in the absence of a real joystick, but the game modes are all here and the crazed action is the same as it’s always been. 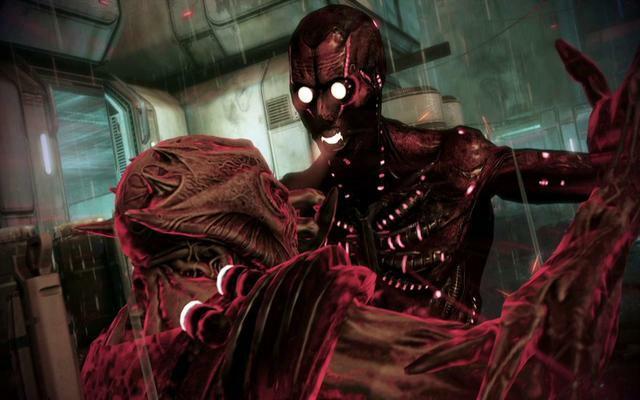 Here’s a bit of a no-brainer for Mass Effect 3 fans. The newly released Retaliation DLC is completely free and offers a significant expansion on the game’s multiplayer features. There’s an entirely new enemy faction to take on as well as a new Challenges feature, to replace BioWare’s bi-weekly Operations, map-specific Hazards, and some new character classes. The catch is that ME3‘s Galaxy at War multiplayer mode ties in heavily with microtransactions, so you’ll get the content for free but you might feel compelled to spend cash on booster packs. That’s your own life choice to make, but you really can’t argue with adding more layers to multiplayer for the low cost of nothing.